You might have heard by now that Avicii has passed away at the young age of 28. His publicist Diana Baron says in a statement that “It is with profound sorrow that we announce the loss of Tim Bergling, also known as Avicii. He was found dead in Muscat, Oman this Friday afternoon local time, April 20th. The family is devastated and we ask everyone to please respect their need for privacy in this difficult time. No further statements will be given.” According to The New York Times, he was in the area visiting friends. I normally don’t write about news or drama surrounding the scene, but Avicii undeniably had a major impact on my life with his music. He was one of the first producers I started listening to about 10 years ago and opened up a whole new world for me. Growing up, I had not really listened to any music in depth, or just went with whatever was on the radio. With Avicii’s music, and dance music in general, I was able to feel a connection that I hadn’t felt before. I made friends who I might not have met otherwise through dance music. I started this site because of my love for dance music. Avicii without a doubt had a profound effect on me getting deeper into dance music. I first heard of Avicii through tracks like “Seek Bromance“, “My Feelings For You“, “Street Dancer“, “Sweet Dreams“, and “Blessed“. Later, it was “Fade into Darkness“, “Silhouettes“, “I Could Be The One“, and of course the crowd favorite “Levels“. He debuted his first studio album “True” at Ultra Music Festival Miami in 2013 to an unsuspecting crowd, due to its country/bluegrass influences. I remember watching his set on the UMF TV live stream enamored with the fact that he was playing something totally different, rather than the fist pumping, big room style of music that was big at the time. In a Twitter statement a few days after his set, Avicii said “I really wanted to switch things up and do something fun and different, as I always strive for, and this album is about experimentation and about showing the endless possibilities of house and electronic music. It’s about how to incorporate acoustic instruments from different styles and influences you wouldn’t expect and still stay true to your own sound and musicality which for me has always been about the melodies and positive energy.” Though there was backlash at the time, he showed it was possible to collaborate with artists outside of their normal realm to create something different and unique. In August last year, he released his “Avīci (01)” EP, telling BBC Radio 1 DJ Pete Tong it was the first of three EPs. The six track set featured collaborations with Rita Ora and AlunaGeorge, among others. In October, a documentary titled “Avicii: True Stories” was released which included interviews with Chris Martin, Nile Rodgers, David Guetta, and Wyclef Jean. 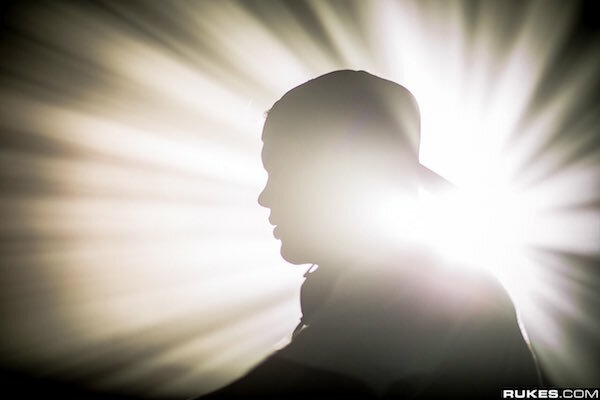 Avicii exposed many fans to dance music and was a gateway for fans to see what it is all about. He was nominated for two Grammys (“Sunshine” with David Guetta in 2011 and “Levels” in 2012). He produced songs for Coldplay (Sky Full Of Stars” in 2014 and “Hymn For The Weekend” in 2016) and Madonna (“Devil Pray” in 2014). He started his own record label LE7ELS, which released songs from producers like Syn Cole, Ashley Wallbridge, Norman Doray, Henrik B, Deorro, Spencer Brown, and New World Sound. Not even the age of 30, and he had already accomplished so much in the music industry. Noted DJs and industry veterans such as Nicky Romero, Skrillex, Calvin Harris, Pasquale Rotella, deadmau5, Tiesto, Kayzo, Rukes, DJ Snake, Armin van Buuren, Pete Tong, SLANDER, Above & Beyond, Danny Howard, and Kygo paid their respects to Avicii on Twitter (see below). Though he is gone now, the music of Avicii will live on forever.